As the years passing, the Vatikiotes farmers living simple life worked hard without fair compensation. Until some pioneers found the solution in order to overcome the difficulties. Because when there is goodwill, decency and willingness to work together, progress will be the next part! The thought of the leaders was simple and logical. Everyone could see and believe what was obvious indeed, to join their forces in order to become stronger. So didn't took so long at beautiful Vatika of Lakonia, across the island of Venus, Kythera, the historic rock of Monemvasia and beside the oldest submerged town in the world, Pavlopetri(as seen on BBC2 documentary) to create in 1982 a modern olive oil mill. For 30 consecutive years, offers its services to 521 members and not only. Has taken advantage of every possible opportunity to benefit the hard working farmers, trying to ensure a decent living for themselves and their families by encouraging them not to abandon the land that care and love. maintaining olive oil production culture of Vatika. The cooperative currently has one of the most modern olive oil mill in Greece that meets the latest safety standards and ensures the quality of the olive oil production. The production proccess is made at low temperatures, not exceeding 30 degrees celsius in order to maintain all the precious ingredients, antioxidants, vitamin E and polyphenols. The total production of the olive oil mill reaches about one thousand tons of extra virgin olive oil, which ranges from 0.25% to 0.5% acidity! The olive harvesting season in Vatika starts from the first days of October. 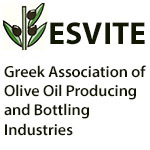 The climatic conditions of the region and the unique variety of Athinolia allow us to produce olive oil before the start of the harvesting in other areas. So our cooperative is the first worldwide that makes fresh extra virgin olive oil each harvesting season! The cooperative also has a modern bottling facility in order to make available to the consumers the best olive oil made.